Hrithik Roshan makes grandfather emotional! And HOW? Sources close to the actor share that he is very close to his maternal grandfather, J Om Prakash. Hrithik knew that his nana (as the actor calls him) is very fond of this particular Mercedes. So he decided to surprise him by getting him outside his house with the car waiting for him. 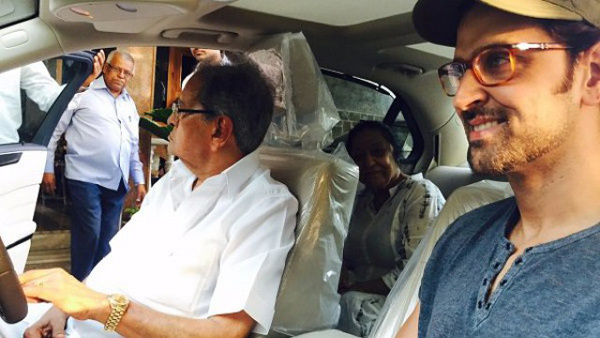 Hrithik's nana was pleasantly surprised on seeing the car and instantly gave him a big hug. He was very moved by this sweet gesture of his grandson, who he is very proud of. He got teary eyed on realising how much Hrithik cares about him to fulfill his wish. And that too without any specific reason. It wasn't any special occasion to give the gift. Looks like his nana took him for the first drive in his favourite car. It is proven that Hrithik can make you weak not just with his Greek God looks but also with gestures like these. 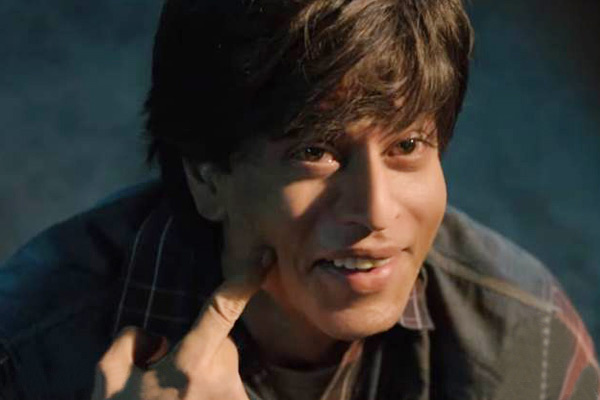 It was a big day for all Shah Rukh Khan's fans as his most awaited movie 'Fan' released on April 15. Seems like, this movie has set a new record in Pakistan because it has collected a whooping amount of Rs 50 million in the first three days of the release. Sources say that, an official for Geo films who has distributed the film in Pakistan said, "This movie brought the biggest generation of revenue that has come in Karachi and Lahore and the fans have given thumbs up for the film as bookings for the next one week are sold out in most cineplexes and theatres." Nadeem Mandviwala a well known exhibitor, distributor and cinema owner said, "Shah Rukh is a bankable star and his star power was visible on the first three days of the film's release as all shows have been sold out in Karachi." He also added saying, "The Indian film industry now realises that Pakistan is a strong market for their products that is why they now focus on promoting the film for Pakistanis as well." Bold and beautiful model-actress Amy Jackson recently shared a selfie with superstar Rajinikanth. She looked pretty as ever and all the more super happy, she tweeted saying, "I don't think I've ever looked so happy on a photograph Rajiniji, I feel super honoured to be acting alongside you". Amy is currently juggling between the sets of Rajinikanth-starrer '2.o' where is playing the lead. She is currently working on with her other Hindi untitled projects where she will share screen with Nawazuddin Siddiqui. The movie will be directed by Sohail Khan.